In order to integrate BARRISOL dynamic and to acquire the methods of BARRISOL ceilings installation, the training courses are organized very regularly in our training center officially agreed by the State under the approval number 42680010368. Essential to know our support, the training courses are addressed to installers and sales teams. This training helps to understand and know the BARRISOL in order to promote technical and esthetic qualities. Technical and theoretical, this training teaches the principal techniques of Barrisol ceiling installation. The experience and a good technical know-how in the building sector are an asset. The commercial training course develops communication and sale strategies. It uses sale assistance tools such as Flipchart, financing BARRISOL method and sketches of simulation with video. This last training course improves the approved installer's performances with the most pointed techniques and the last Barrisol products. For example: Placement of the Star track, 3D forms, or specific training course (consult us). 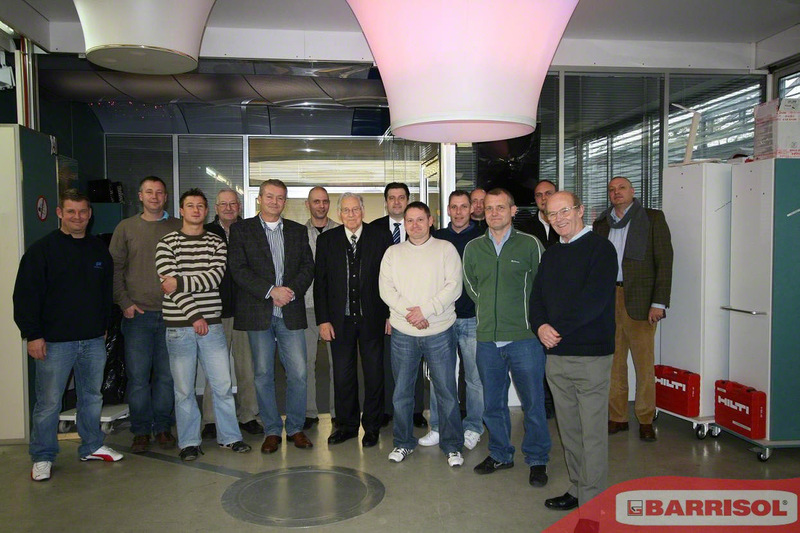 Generally concentrated in one week, the training courses takes place in BARRISOL-NORMALU head office in Kembs (68), France. For practical reasons, they can also be done in your country under certain conditions (many participants, organization…). To register you and for any relative question with the training courses, do not hesitate to contact us.